Sulfate free shampoo keeps long hair looking beautiful. Does it seem like it’s more difficult to keep your long hair healthy, especially if you invest in hair extensions? While most people are aware you need to use a sulfate free shampoo and good leave in conditioner to keep your hair healthy, there are other steps you should take for the best results. The following tips will ensure you enjoy beautiful hair that looks great. Many women have gotten into the habit of flipping their hair upside down to towel dry it, as well as use the blow dryer. Unfortunately, this can cause more damage to your hair than keeping your head right side up. Running a brush or comb through wet hair sometimes becomes a necessity because you either don’t have time to dry it or want to eliminate the tangles before you dry. However, this can actually cause more breakage. Wet hair is more susceptible to damage so it’s better to allow your hair to dry full before using a comb or brush. A good leave in conditioner can make this process easier. Leave in conditioner can make combing long hair smoother. Longer hair is more susceptible to knots, which means you need to take care to carefully comb through it without ripping out the knots. A good leave in conditioner will help eliminate these knots and make it much easier to comb through your hair once is dry. Even if you have no interest in cutting your hair, regular trims can go a long way toward keeping your hair healthy. When you have split or otherwise damaged ends, your hair may not be as lush and full as you’d like. Getting an inch or sometimes even less off the ends every few months will go a long way toward removing these damaged areas and keeping your hair shiny and healthy. We’ve all been conditioned to wash our hair on a daily basis, but did you know this could also be contributing to damage? While it’s important to continue using a sulfate free shampoo and leave in conditioner, you should extend the time between washings to every other day or even every three days. Rinsing with plain water in between is your best option. One thing a lot of people overlook is their diet. 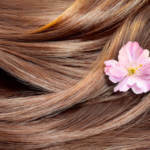 Eating healthy, particularly making sure you get enough vitamin E, will mean healthy hair as well. Just like other parts of your body, your hair requires the proper nutrients to keep it healthy and beautiful. Hair extensions are just one way to lengthen your hair, but even if you have naturally long hair, you need to learn how to take care of it so it continues to look healthy. Not only do you need to use a sulfate free shampoo and leave in conditioner, but you also need to follow these additional steps to manage your longer locks. If you’re looking for the best sulfate free shampoo and conditioner, contact us. We carry a full line of quality hair care products designed to keep your hair healthy and beautiful. 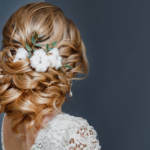 Holiday Hair Styles for Your Party! Thinning Hair? Slow Your Hair Loss!